Many people are turning to hemp and CBD skin care products because there is so much science behind their use case. Purists enjoy the fact that the naturalness of these products mean there are less potentially harmful chemicals that could cause side effects. While we’ve had many companies send us skin care products featuring hemp and CBD, there is one eye cream we’ll talk about today that stands above and beyond all of them. What is the Top Selling Eye Cream With Hemp Oil? Made with real CBD extract, this is yet another breakthrough from the company known as SkinPro. Infused with the best quality pure hemp extract, this under eye cream also offers one of the best values in the cannabis skin care market. At under $60, this is a six month supply. If you’ve looked at many other eye creams, you’ll notice the good ones trend much higher in price, and aren’t as consumer friendly on the budget. Exclusive! If you buy this on the Official Website of SkinPro, our readers get a special 40% off coupon! Use promo code “42oTimes” at checkout. This is essentially a well formulated anti aging cream for the eyes that is to be used twice daily to plump and renew the tired, fragile skin that surrounds your eyes. When you use this twice daily for a month, you’ll see noticeable results in the way your skin retains moisture and shows off it’s vibrance. Long term use will yield the best results, and you’ll notice softer, smoother, and younger looking skin. When you apply it at night you obtain moisture and nourishment that will have you feeling completely revived in the morning. The six month supply also represents a HUGE value, and makes it our pick as the best hemp eye cream for sale in 2019. What are the Benefits of CBD in Eye Creams? Repairing the appearance of past skin damage is not an easy task, but thanks to the powerful anti aging properties of CBD, you have a shot at restoring your former luminous glow. For those wondering if this is simply a play for the marijuana aficionados – it’s not. While we support any cannabis and hemp product and brand, we’re all for healthy gains however we can take them. These types of products won’t get you high – in fact, THC in marijuana is what does that. CBD is short for cannabidiol, which has been making it’s rounds across social media for it’s abilities to help muscles become pain free, to treating insomnia. As society progresses and we see more and more acceptance of CBD, (just recently a drug formulated with CBD gained FDA approval for the treatment of epilepsy in patients as young as two years old), we’re seeing a massive green shoot (pun intended) in the skin care space. Eye creams are one of the most popular segments in the skin care, and in specific, anti aging skin care industry. 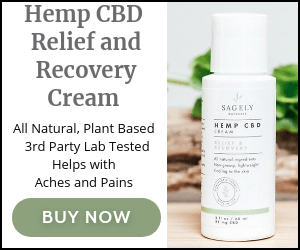 You’ll find CBD creams, serums, gels, rubs, and ointments that are marketed to do everything from relieve pain to prevent acne. Of course, what we’re talking about today is massively staving off the many signs of aging around our eyes. You know, the windows to our soul. Those eyes. NY Mag sought out a scientist who studied CBD to help their readers gain an understanding of how cannabis works in the skin care industry. The studies referenced a study in mice that suggested CBD slowed down the noticeable signs of aging. It’s also well known that CBD has anti-inflammatory actions, and this was echoed in the same article by Tamás Bíró, professor and chair of the Department of Immunology at University of Debrecen in Hungary. (Not to mention he’s also a director at Phytecs, which conducts studies on drugs that have an affect on the endocannabinoid system. If you are ready to dive into the crazy of using cbd lotions on your skin, get a head start with the Medical Grade Skin Care Hemp Under Eye Cream (With CBD.) Made by SkinPro, a Miami-based laboratory entering it’s 10th year in business. Learn more about the CBD eye cream by SkinPro. But don’t trust us, trust this smoke show who we found on YouTube promoting the product!